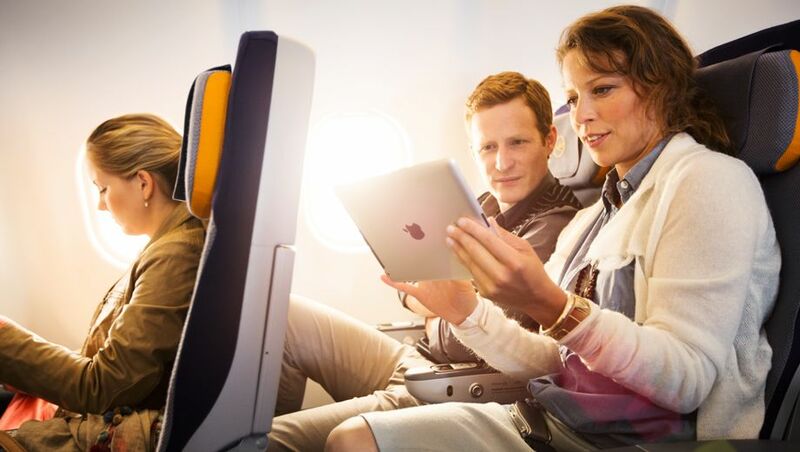 Stuck for something to read during your next flight? Not likely, if you've got Apple's News+ sitting on your iPad. News+ is Apple's freshly-minted newspaper and magazine service which offers a riot of unlimited reading across 300 titles for a flat rate of US$10 per month. The mix leans strongly towards high-end magazines – any laundry list would start with GQ, Esquire, Vanity Fair, Vogue, Wired, Fast Company, Bloomberg Businessweek, Travel + Leisure, Condé Nast Traveler, National Geographic, Elle, New York Magazine, Atlantic, Rolling Stone and Runner's World. News+ isn't restricted to the iPad – it also runs on iPhones and Mac laptops and desktops, with your reading list kept in sync as you move between devices. Also making a spot on the subscription shelf will be a growing series of newspapers headlined by The Wall Street Journal and The Los Angeles Times, plus 'premium online publications' such as Vox' The Highlight and New York Magazine’s Vulture, The Cut and Grub Street. The News+ tab will sprout from Apple's standard News app and is already available in the US and Canada, with Australia and the UK coming online "later this year", Apple says. Predictably there's a free one-month trial, but pleasingly the subscription can be shared between up to six people via Apple's Family Sharing feature. 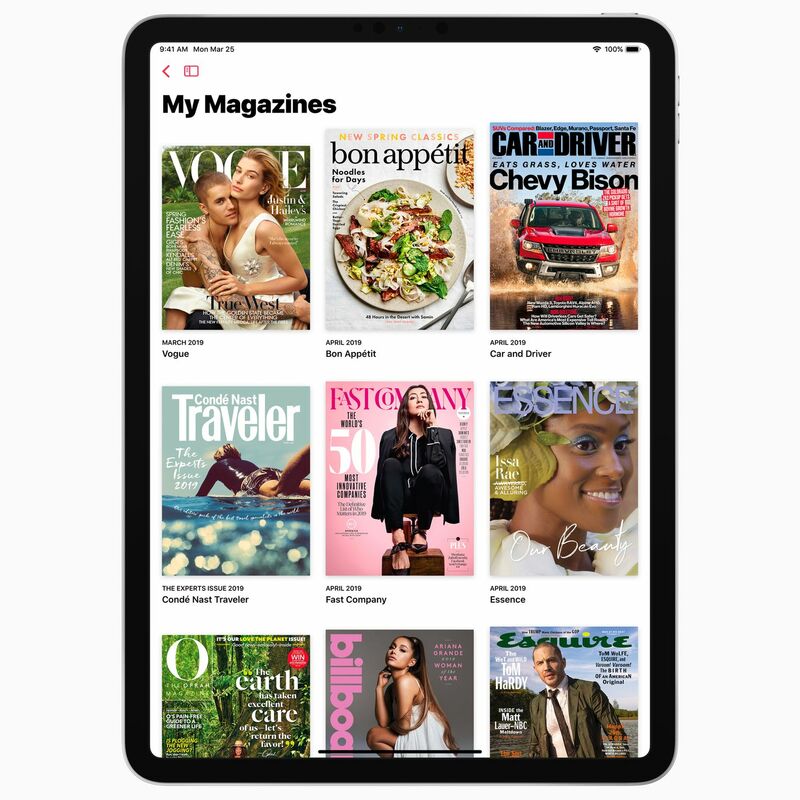 The 'all you can read' magazine service is based on Texture, which Apple acquired about a year ago, and will compete with the likes of Readly, which boasts over 3,000 magazines (although many are per-country editions of the same masthead, and not always in English) for US$11/month. and joins the overnight launch of the Apple TV+ streaming Netflix competitor, the announcement of an Apple Arcade games package plus the current Apple Music subscription service as Apple seeks to boost revenue from sources other than the iPhone. Sounds good but it will have to go some way to compete with Readly, which I use all the time both at home and when travelling. Readly lost some good titles last year when Bauer pulled the plug on Empire movie magazine among others, maybe those have moved to Apple News+. If you compare US and AU pricing for Apple Music it's USD$10 vs AUD$12, so if the same applies for News+ then this will be pretty appealing. will it include some decent newspapers? Not quite as fancy graphics, but you can get a bunch of those electronic magazines via your local library. Forgive me if I read that wrong but will I be able to acessit on my windows PC? From what I've read it won't be avaliable on other platforms. Comment on "Apple's $10/month News+ unlimited magazine service set for Australia"